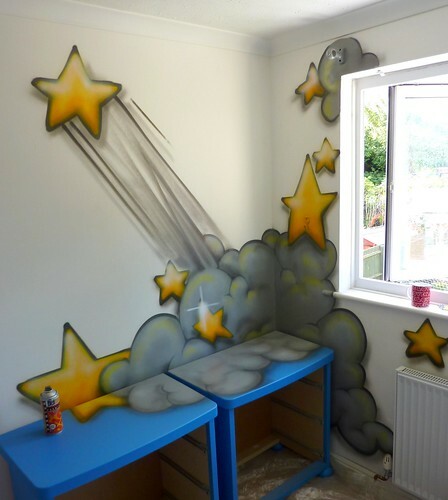 Through a friend of a friend Arkade Graphics spoke to a couple who were looking to re-decorate their sons bedroom . 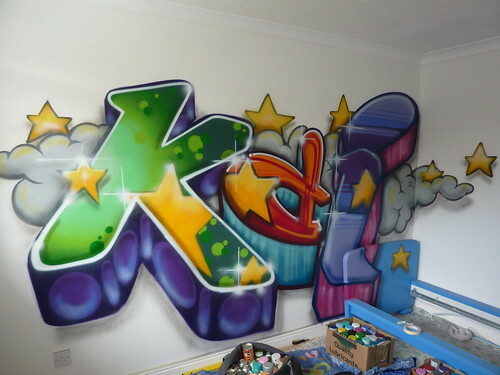 Their plan was to have their son’s name painted on the wall in a graffiti style with the border continuing around the room. After further conversations we decided to continue the flavour over the existing bedroom furniture,headboard,drawers and make a focal point out of the t.v. set. 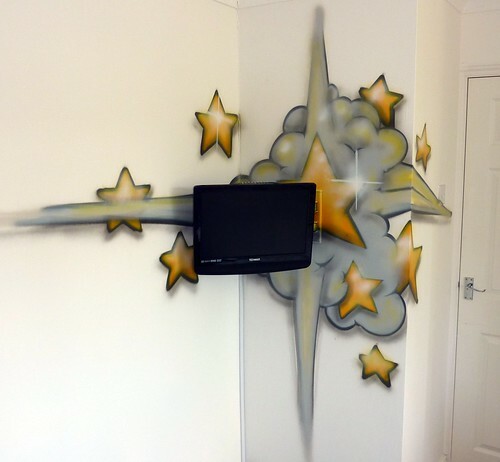 This entry was posted in Commissions and tagged cartoon characters in kids rooms, graffiti bedroom, kids bedroom painting graffiti, themed rooms. Bookmark the permalink. how much to do this to my sons room?